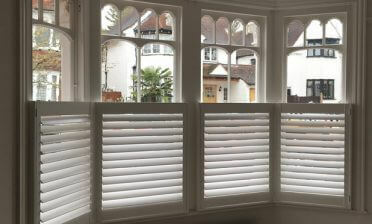 Luke and Jimmy were in Sidcup, Kent to fit shutters throughout a home for a client who had seen some of our other installations carried out to sash windows in the local area. 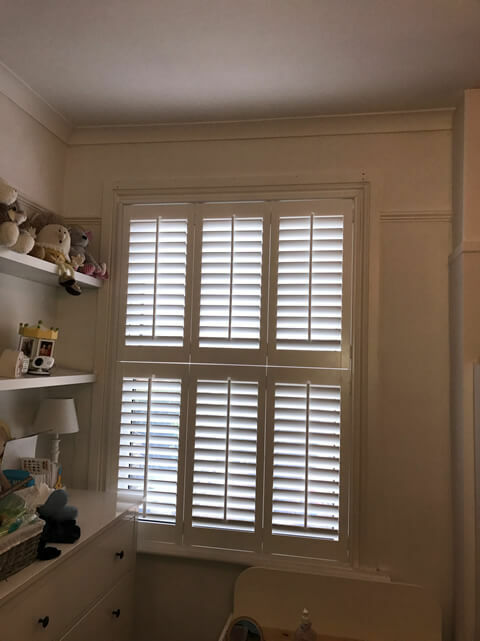 Needless to say they liked some of the client installations they saw and quickly decided to have us design and install shutters to their whole home. 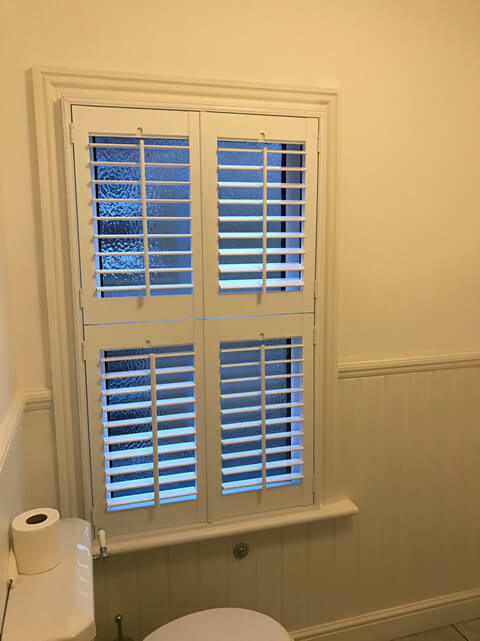 The customer had traditional windows and felt that our traditional Fiji Range of hardwood shutters would perfectly compliment the windows from inside and outside of the house. 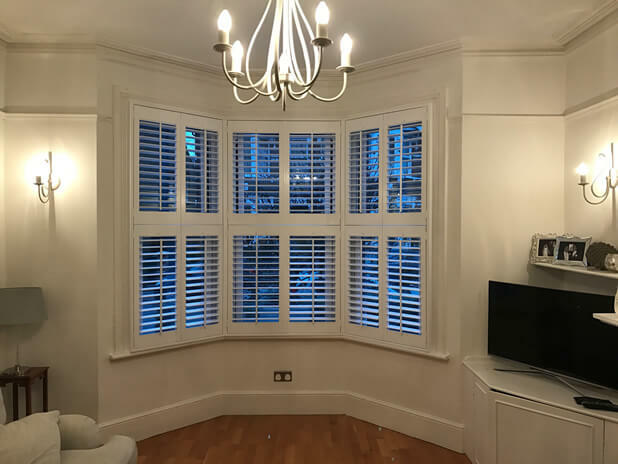 Doing all the windows at the same time allowed us to perfectly design and match the shutters as a continuous theme throughout the home, matching them in both style and finish no matter the size of the windows! 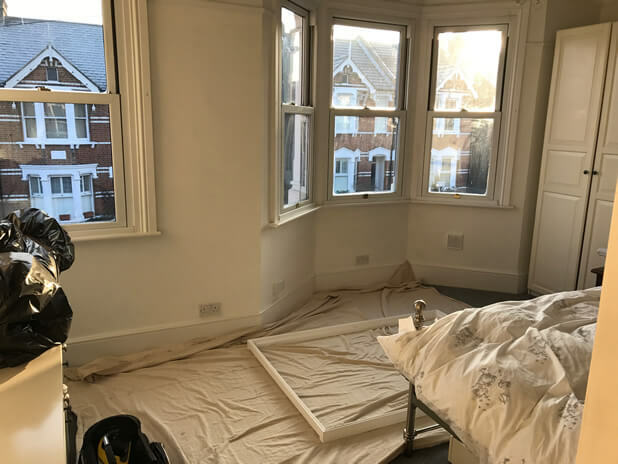 Our installers started off by creating and fitting the frames to the windows, taking great care with the customers interior as they carried out the work. 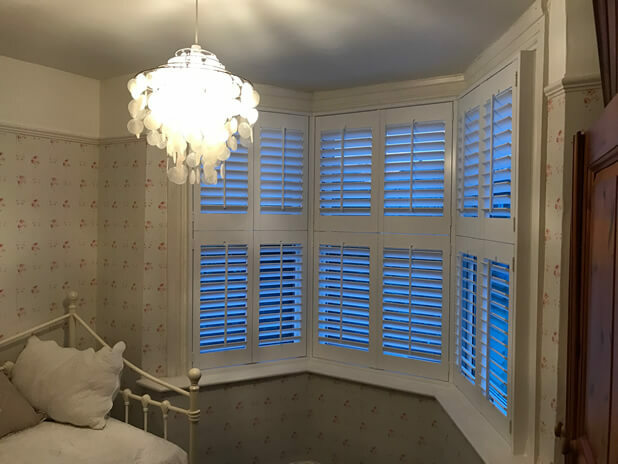 With advice from our experts the clients chose to go with our Tier on Tier Shutters which are our most flexible shutters when it comes to usability. 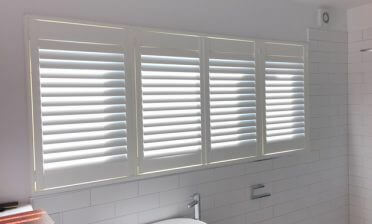 Much like our full height shutters but with the advantage of a split in the middle which allows the top and bottom panels to not only be adjusted independently but also opened and closed separately. They work perfectly with sash and bay windows allowing for lower level privacy and different levels of light over multiple panels across the window. 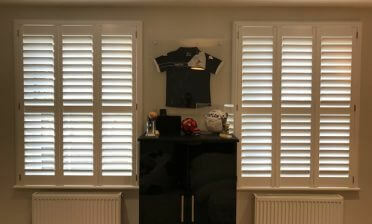 They also look traditional in appearance suiting this classic style of window perfectly. 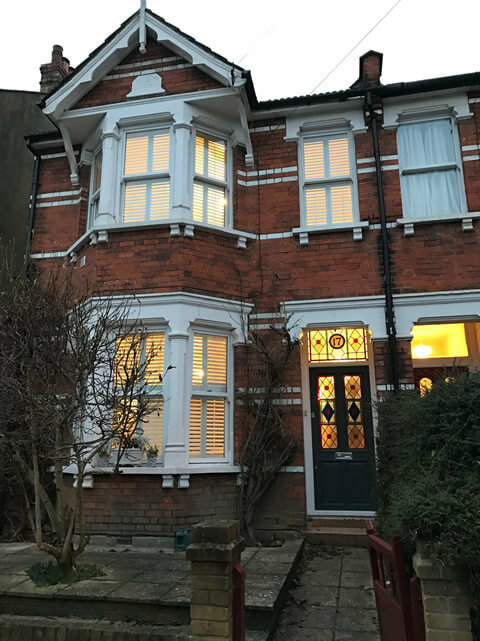 We also carried the look of the shutters through to standard sized windows so that they fully matched the style and finish of the shutters created for the bay windows! 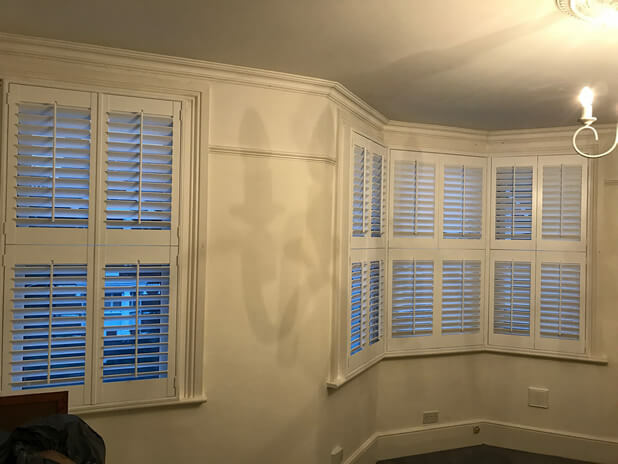 The shutters were finished in a pure white paint with central tilt rods, carrying through the traditional look and also allowing for easy adjustment of the louvres on each panel and as you can see also look great from the outside of the property!